"The Society of Friends, more commonly known as the Quakers, came to Ohio in the late 1700s and the early 1800s. The first Quaker to arrive in Ohio was George Harlan in 1795. By 1800, approximately eight hundred Quaker families were living in Ohio. The number of families had more than doubled by 1814. The Friends originally settled in eastern and southern Ohio and established Mt. Pleasant, Alliance, Salem, Lisbon, and several other communities in the state. The Ohio Quakers' yearly meeting took place in Mt. Pleasant. There, the Friends built a meeting house that could hold approximately two thousand people. The Quakers played a major role in nineteenth-century reform efforts including the temperance, women's rights, and abolition movements. Many African Americans who ran away from their masters in the South came to Ohio. Many of the Friends were active in the Underground Railroad and hid the runaways until they reached safety. 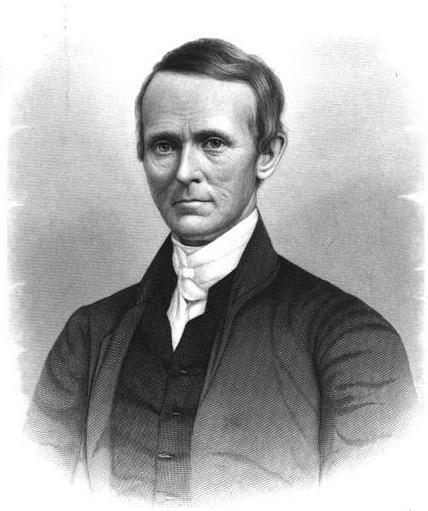 In 1817, Quaker Charles Osborn of Mt. 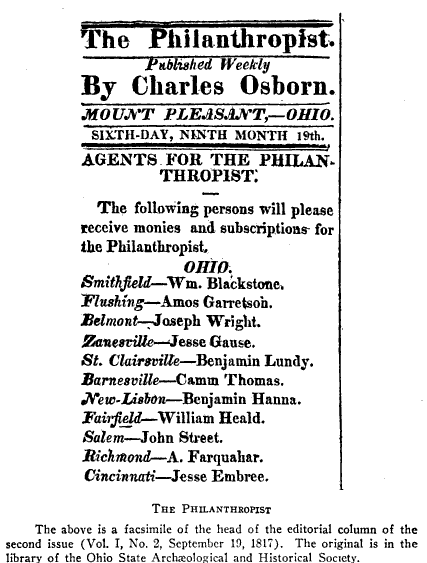 Pleasant, Ohio, published The Philanthropist. It was the first anti-slavery newspaper in the United States. In 1821, Benjamin Lundy, the "father of Abolitionism," began to publish his newspaper, the Genius of Universal Emancipation, in Mt. Pleasant as well. The Quakers also treated Native Americans in Ohio with kindness. The Friends did not try to convert the Indians to Christianity. The Quakers formed a school in Wapakoneta in 1821 to teach the Shawnee Indians the English language and their farming methods. The Quakers believe in the Inner Light. According to their religious beliefs, a part of God, the Inner Light, exists in all human beings. Because God exists in all people, the Quakers oppose violence and war. While the Quakers believed that all human beings contained this Inner Light, the Friends made no real effort to convert other people to their religious beliefs." Elijah Coffin was the cousin of Levi Coffin, the "President" of the Underground Railroad. 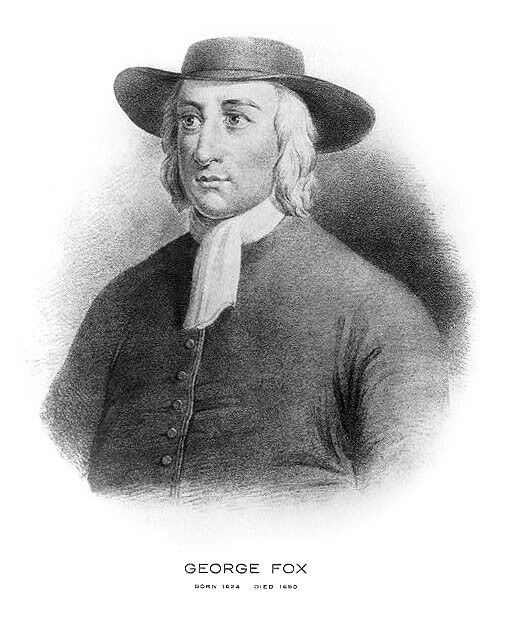 He was a Quaker and a banker living in Indiana. Elijah's daughter, Caroline E. Coffin married William H. Ladd of Richmond, OH in 1849. In 1860, Elijah made a trip along with his wife, Naomi, to visit their daughter and her family living in Jefferson County, OH. "May 8th - We had made preparation for our eastern journey, and accordingly set off at ten A.M., by railway. At Dayton, we fell in with Ephraim Morgan, and he and I, being under appointment to give attention to procuring a complete title to the tract of land occupied by our establishment in Kansas, for the civilization and improvement of the Shawnee Indians, it was deemed necessary that we should proceed at once to Washington City with regard thereto; so, passing on together to Newark, Ohio, we parted with my wife at that place, who proceeded to William H. Ladd's, and we went on our way; crossing the Ohio river, below Wheeling, we traveled through the night and reached Washington at about five P.M., on the ninth. We visited Edward Clark, attorney for the Shawnese, and Senator Pugh, the same evening in relation to business; and next morning we again visited Senator Pugh, then the Commissioner of Indian Affairs--Greenwood--and having found that a new treaty, or modification of the treaty last made in 1854, will be necessary before the end we had in view could be accomplished, we made all such arrangements as appeared proper in regard to having an article inserted to accomplish our objects whenever a new treaty should be entered into. We soon began to make preparations to return. We had visited the Capitol and walked through the grounds, and walked some through the city, and called on Representatives Kilgour and Case, early in the day: and now we again went to the Capitol, visited the House of Representatives and the Senate, each for a short time; then went to our hotel, took dinner, and left in the cars for the west, at three P.M., and after a favorable trip with a long train of cars, in which we passed the Alleghanies during the night, we arrived at the Ohio river at breakfast time in the morning of 11th. Ephriam proceeded on homeward, and I stopped at Wheeling to breakfast. After breakfast I crossed over the Ohio, took the railway to Steubenville, and went thence to William H. Ladd's. It was very pleasant to greet my dear wife and children again and to rest with them on Seventh-day the twelfth. 13th - First day - Attended First-day Scriptural school at Cross creek, at half past nine o'clock A.M.; about thirty present. Then at Meeting for Worship. At three o'clock P.M. we visited a Bible class taught by Caroline Talbert, wife of Kinsey Talbert, at their dwelling; an interesting class of thirty or more in attendance. At six o'clock P.M. we had a Bible Meeting in Richmond, which was respectably attended. I addressed them nearly an hour, and was listened to patiently. The next three days we passed agreeably with our children, and their friends. To James D. Ladd's on the 14th P.M.; 15th A.M. to see Benjamin Hobson and Sarah Ann, his wife; and in the P.M. to Matthew Watson's and Eliza, his wife. (She has been long confined by indisposition.) 16th A.M. to Abraham J. Hobson's and his sister Elizabeth; and in the P.M. to William Henry Crew's and Deborah, his wife. In the afternoon of 17th we set off for Quarterly Meeting at Mount Pleasant, and staid that night at Joseph Jones' at Smithfield, on our way. We had rain before arrival."